Medieval clothing and fashion, including the Peasant Dresses, like everything else was dictated by the Pyramid of Power which was the Medieval Feudal System. Medieval clothes provided information about the status of the person wearing them. The clothing and fashion during the Medieval times of the Middle Ages was dominated and highly influenced by the Kings and Queens of the era. Only the wealthy could dress in fashionable clothes. 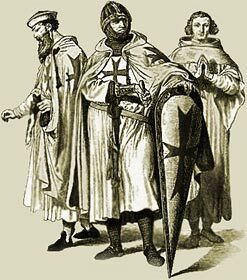 Medieval Sumptuary Laws restricted people in their expenditure including money spent on clothes. The head-dress worn by people during the Medieval times of the Middle Ages immediately conveyed the rank of the person. The Medieval Times website provides interesting facts, history and information about the clothes and fashion which scatter the Medieval History books including Peasant Dresses. The Medieval Times Sitemap provides full details of all of the information and facts about the fascinating subject of the lives of the people who lived during the historical period of the Middle Ages. The content of this article on Medieval life and times provides free educational details, facts and information for reference and research for schools, colleges and homework for history courses and history coursework.